a science engagement and research project, looking at potential benefits of creative and yarn-based activities. 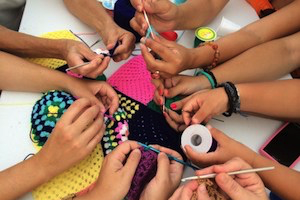 Learn more about the Yarnfulness Project. Find out what we’re up to at the moment. Find out how you can get involved with the project.